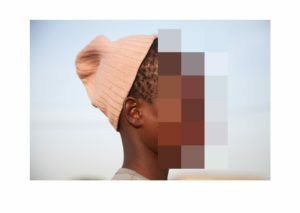 Javier Hirschfeld’s latest project The Sheltering Pixel not only directs people’s eyes, but also prompts the viewer to reflect upon the mode in which things in photography are shown, and most particularly, the double standards used when portraying the other. The diverse social networks are encroached by photographs taken indiscriminately by all sorts of individuals, opening up to everyone their involvement with contemporary visual culture towards which they contribute, generating a broad and, supposedly, fairer, collective imaginary. Unfortunately, this is not the case, and it is particularly evident when the represented subjects belong to the so-called underdeveloped countries. In the postcolonial era, traveling across the globe has become a more achievable dream, particularly for westerners. Those who go to far-away places, take pictures of and with everyone, and upload the images onto their profiles in social media, aiming to improve their social image, since it makes them seem more adventurous, interesting and even charitable souls. Far from that, the real fact is that taking and posting pictures of and with disadvantaged people is just another way of strengthening stereotypes, exoticising the other, and ultimately, legitimising the Western superiority over the rest. Raquel Villar-Pérez: Where has been the project exhibited? Javier Hirschfeld: The Sheltering Pixel was exhibited for the first time in Barcelona in September 2016, at the Gallery Catascopio in Barcelona. After that, the gallery took the project to Art Fever, Paris, where it was very well received and even the director of the fair selected the project, as one of the four most challenging works of the show. More recently it has been shown in the Museum of Genalguacil, a little town in Malaga. It was really interesting to see the reactions of the locals and how they reflected upon the topics portrayed. Moreover, The Sheltering Pixel will be displayed in the gallery Gratadou Intuiti in Paris from November 2. RVP: Have you had the opportunity or the thought of exhibiting the project in Africa? How has it been the reception of the project in there? JH: It hasn’t been exhibited in Africa just yet. 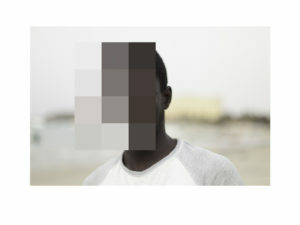 However, there are some African artists and friends who have seen the project, and it has had a very positive reception, to the extent in which they seem grateful for finally someone bringing all these matters to the fore, issues that the European photographer does not think about when shooting in Africa or other vulnerable areas. RVP: In the contemporary there are numerous artists of African descent that explore and criticise notions of representation of black bodies throughout the history of art. How do you think The Sheltering Pixel fits within these discourses? JH: The Sheltering Pixel is a very personal meditation of a non-African artist but who has matured his discourse and his way of looking, thanks to African artists in the Diaspora, whose knowledges and art works have raised issues such as the representation of the other. RVP: Your different projects are very much connected to the African continent and the black subject, particularly children and women. As a white male from Europe, I assume you struggle with how you position yourself when approaching your projects in the postcolonial context. I would like to know how was born your interest in the African continent and black subjects, and how do you handle the ethical issues that arise, if any, for representing the black subject in the contemporary art scene? 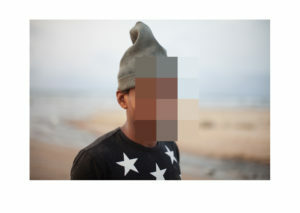 How does your project contribute to the ethics of representing black subjects? JH: I cannot explain how my interest in Africa, its Diaspora and the representation of the black body arose. I can say though, that it is after four years travelling frequently to the continent and taking images, and due to my experience as picture editor for the BBC, that I started to realise of the sum of clichés associated with capturing Africa. This consciousness made me question my own work as a photographer. The Sheltering Pixel is born out of the reflection about the other, about the ethics in photography, the different ways of seeing, looking and representing, and about the double standards when representing ones and others. Is a project born in Africa, since it is the context where I was working at the time. It is a critical approach to my own work as a white male photographer. Whereas before I must acknowledge my work was exoticising, and even perhaps nowadays it somehow still is, I have also become more thoughtful. I believe that using photography as a medium, everything is a signifier; there is no innocent input. Ultimately, The Sheltering Pixel is a reflection on ethnocentrism and cultural relativity. 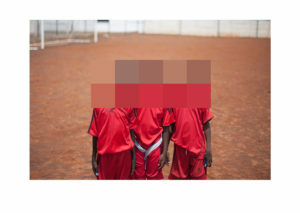 Being the pixel the minimal container of information that generates sharp images by accumulation, contrarily, its distortion is used in media to protect the children portrayed. Indeed, Unicef disseminated a set of guidelines for ethical use of images of children in media; first and foremost, these guidelines call to respect the dignity and rights of every child in every circumstance, as well as, paying special attention to each child’s right to privacy and confidentiality. Unfortunately, not all children’s dignity and privacy are protected equally. 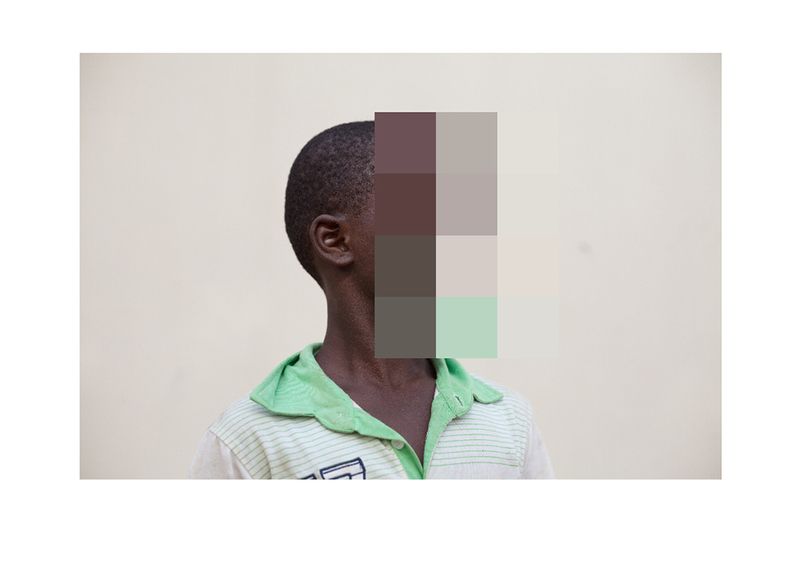 Hirschfeld’s sheltering pixel reveals the different standards used when treating images of Western infants, as opposed to when treating images of children from deprived areas, establishing the dichotomy between overprotection and non-protection. 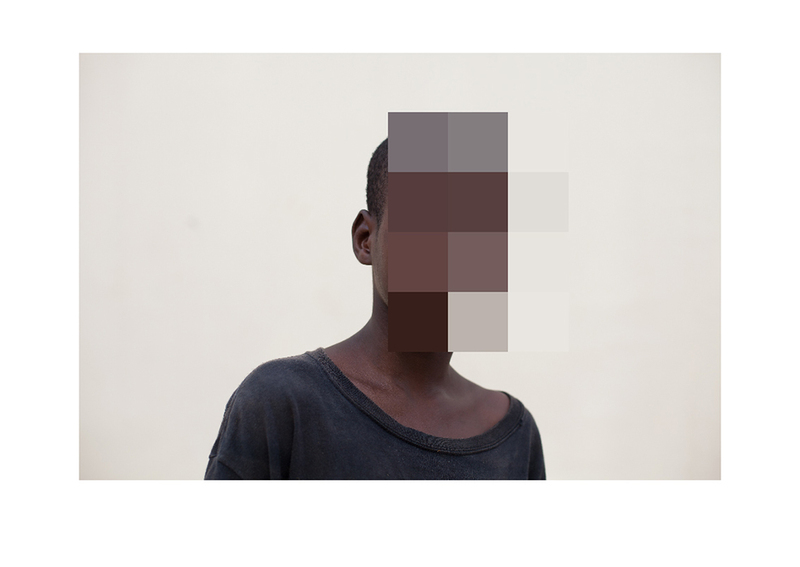 Moreover, the pixel in Hirschfeld’s work not only disfigures the African child’s joyful smile, and bright look, but also pollutes the landscape behind, metaphorically reflecting upon the effects that the ‘well intended’ Western action has in the Third World countries. The Sheltering Pixel by Javier Hirschfeld, functions as a kind of photographic activism; one that demands rigorous commitment from the spectator. Javier has developed his professional career in London as Photo Editor working for BBC Culture. He is also finalising the degree of History of Art at Birkbeck, University of London. He combines his work at BBC, with his artistic career and the direction of the cultural collective Los Interventores.